You see videos getting uploaded on YouTube that have resolutions of 4K and even 8K (there aren’t even consume-grade displays available that are able to support resolutions of 8K). To drive this much data to the storage card, the card will need to have extremely fast speeds to write all of that data. 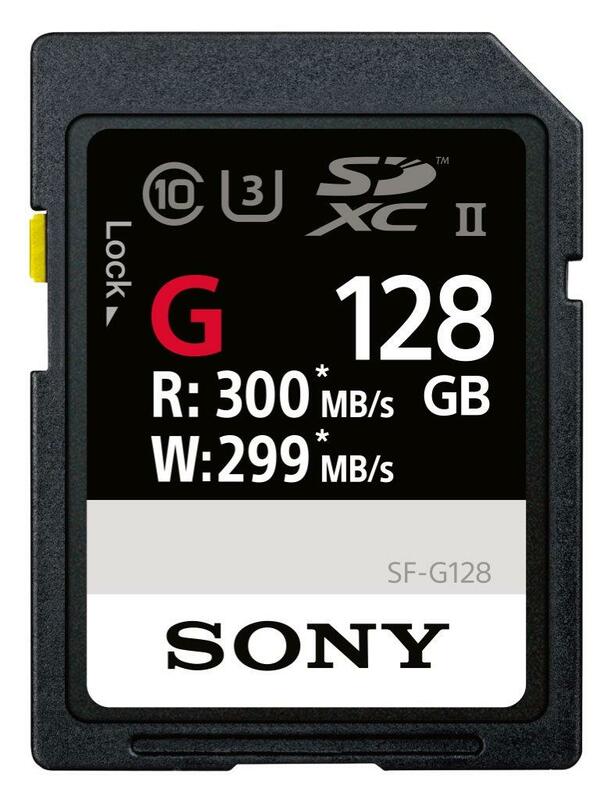 Fortunately for these users, Sony has announced a new lineup of SD cards called SF-G SD cards that boast extremely fast read and write speeds, making them ideal for users who shoot footages at extremely high resolutions. All storage models will feature write speeds going up to 300MB/s which is more than sufficient to capture footage being taken from a 4K camera at high frame rates. What’s more is that these storage cards are also waterproof and anti-static, resulting in a higher life span. Sony has said that the new SD cards are going to be available later this summer but has not provided a shred of detail on their pricing. Professional videographers who use expensive equipment to record 4K footage will definitely find these cards useful, but we can almost guarantee that they will not be coming cheap when they become officially available later in the year.